Elliott Young is a Professor in the History Department at Lewis and Clark College in Portland, Oregon, and the author of Alien Nation: Chinese Migration in the Americas from the Coolie Era through WWII, Catarino Garza’s Revolution on the Texas-Mexico Border, and co-editor of Continental Crossroads: Remapping US-Mexico Borderlands History. 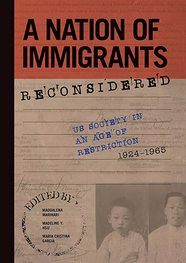 Dr. Young's work appeared in A Nation of Immigrants Reconsidered: US Society in an Age of Restriction, 1924-1965 (Studies of World Migrations). Currently, Dr. Young is finishing a book on the history of immigrant incarceration in the United States. US Citizenship and Immigration Services and neighboring countries like Mexico now prevent far more prospective migrants from entering the US than border control. It seems like common sense that most immigrants would be stopped from entering the US at the border, but this has not been true for almost a century. When immigration restrictions were first established in the late nineteenth century to keep out Chinese laborers, convicts, people with diseases and prostitutes, the system of passports and visas that we now take for granted did not exist. Immigration inspectors determined immigrants’ eligibility at ports of entry as inspectors screened passengers for admissibility, including doing medical and psychological exams. Long lines at Ellis Island illustrated the screening process at ports of entry. However, even in the early twentieth century, consular officials conducted medical inspections abroad. At some US consulates, such as the one in Hong Kong, the rejection rate for Chinese migrants was more than fifty percent. Historian Amy Fairchild shows that by the 1920s, consular officials conducted rigorous medical exams and rejected about 5 percent of all applicants, which was 4 times the rate of rejections at US ports. In 1921, the Quota Act established national origins quotas for each country, but initially the slots were filled on a first-come, first-served basis. Ship captains raced to reach port before quotas were filled, creating chaos. In response, the 1924 Johnson-Reed Act mandated quotas would be filled not by counting immigrants but by counting immigration certificates issued at consular offices abroad. From this point forward, the biggest barrier to entering the US was obtaining a visa, not getting past a border patrol agent, a fence, or a wall. The professionalization of the Foreign Service, the establishment of a universal requirement for passports, and the institutionalization of visas meant that would-be immigrants had to pass through the gauntlet of US restrictions in their home countries, long before they arrived on US soil. This system allowed prospective immigrants to know whether they were eligible to enter before they got aboard a ship. After 1924, the job of the immigrant inspector was mainly to inspect documents to make sure papers were in order and not fraudulent. The long lines of medical inspectors ceased to exist at Ellis Island. This more efficient system meant that most exclusion of immigrants was not happening at ports of entry but in far-flung consulates around the globe. The importance of this extra-territorial inspection was not just that it was more efficient, but it denied would-be immigrants any protections from the US Constitution. While prospective immigrants have few constitutional protections before being admitted, over time the US courts recognized that even undocumented immigrants within the US have rights to due process. By keeping migrants far from US soil, or claiming they have not technically entered even though they are on US spoil, the government denied them the possibility of using the US court system to apply for asylum or challenge decisions by consular officials. Keeping potential asylum seekers off US soil is why Trump demands that Central American migrants remain in Mexico while they await their asylum hearings. It’s also why the US has been paying Mexico hundreds of millions of dollars to detain and deport Central Americans since the mid-2000s. Since 2015, Mexico deported more Central Americans than the United States, reaching almost 100,000 in 2018. The dramatic rise in visa denials in recent years prevents hundreds of thousands of immigrants and non-immigrant visitors from entering the US. Consular officials have drastically cut the number of non-immigrant visas issued from almost 11 million in 2015 to just over 9 million in 2018. At the same time, new international students in the US dropped by almost 7 percent in the 2017-18 academic year, and the latest data show signs of a continuing decline. Shuttering overseas immigration services will make it even harder for immigrants to apply for legal entry to the US. Comparing data from 2016 and 2018, analysis by the Cato Institute shows that denials of visas to potential immigrants have increased since Trump took office by more than 37 percent. In 2018, 150,000 more immigrants were refused visas than in 2016. While the president wants to focus our attention on the dramatic rise in border apprehensions, reaching 467,000 people last year, more than 620,000 were denied immigrant visas. 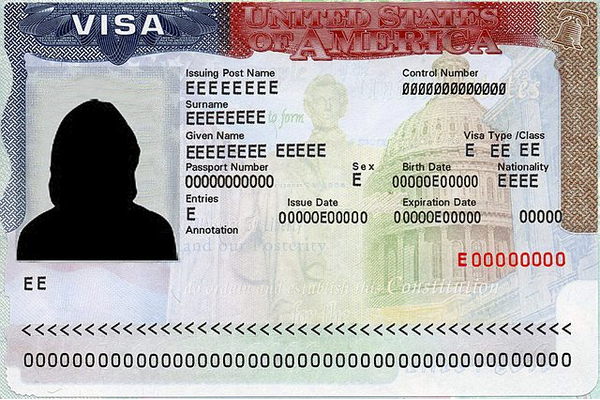 Today, the backlog in visa applications stands at 4.1 million worldwide, and for Mexicans it is 1.3 million. The wait time for most Mexicans is thus well over 20 years. When people talk about immigrants getting in line and waiting their turn, they need to recognize that that the line has become absurdly long. Consular offices around the world are ground zero for immigration restriction. No matter what your perspective, it’s time we focused on where most immigration restriction really happens. ‘Don’t they know Columbus never landed in America?’: Third-graders found error in their workbook. Here’s what they did about it.